Vehicles equipped with Apple’s CarPlay are still a year away from hitting the streets, but Ford and Automatic Labs have a workaround for you if you’re anxious to get Siri into your current car’s dashboard. Ford is working with Automatic to bring Siri, IFTTT and other features not currently supported in its Sync AppLink system to Lincoln and Ford automobiles going back to model year 2011. In case you’re not familiar with Automatic, the startup produces a small device called Link that plugs into the on-board diagnostic port of your car, giving it direct access to the car’s control access network. That allows Automatic to draw all kinds of data from the car’s instruments and sensors. For instance, Link records speed, braking, driving routes, fuel levels and engine problem reports and sends it all to its smartphone app using a Bluetooth connection. That automotive interface also gives Automatic access to many dashboard controls, including the push-to-talk voice command button installed in Sync-equipped vehicles. Link is basically routing the Siri voice interface through the car’s mics and speakers, and instead of activating it from your iPhone, you wake Siri up through controls on the steering wheel. You can complete any action relies on voice commands and speech prompts — such as making a call, composing a text message, launching a music playlist or requesting basic information. Things like search results or Apple Map data won’t appear on your dashboard screen, though they’ll still appear on your iPhone screen. That may sound like a simple thing, but in the world of automotive – where development cycles stretch out years – getting even the simplest technology into a car requires a lot of work. GM, for instance, is still ironing out the kinks in its connected infotainment system after years of development. Working with Automatic not only lets Ford bring a technology to its cars sooner, it allows the automaker to make that technology backward compatible with its older cars. That includes the 2011–2015 Ford Explorer, 2013–2015 Ford Flex, 2011–2014 Ford F-150, 2011–2015 Ford F-Series Super Duty and 2013–2015 Ford Taurus, as well as the 2013–2015 Lincoln MKS, 2013–2015 Lincoln MKT, 2011–2014 Lincoln MKX and the 2015 Lincoln Navigator. Unfortunately the new capability isn’t making into cheaper Ford compact cars like the Focus and the Fiesta – at least not yet. Of course, the Siri interface will become a moot point when Ford, along with most other automakers, introduce CarPlay. Apple’s automotive system certainly won’t replace Sync AppLink, but it will give iPhone owners the ability to project some of the most popular iOS apps and controls into the dashboard interface. That said, there’s a lot more that the Automatic Link can do in Fords beyond bringing Siri to the party. The second integration Automatic and Ford announced on Tuesday was support for If This Then That (IFTTT), which links together disparate web services, apps and connected devices through a library of cloud-based recipes. Automatic has been connected to IFTTT’s network since February, adding vehicles to its list of triggers. For instance, IFTTT could unlock that smart lock or turn on a Nest thermostat when you pull into the driveway. You could create a recipe that logs all of your trips to a Google Doc or emails your mechanic car diagnostic data whenever your check engine light comes on. 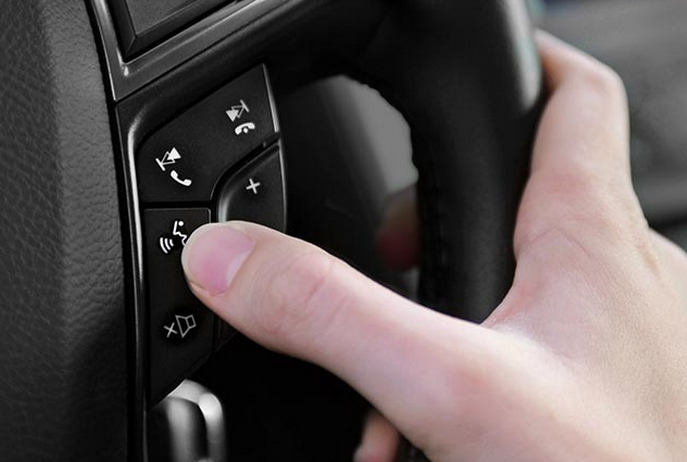 The additional integration with Ford, though, lets drivers trigger actions directly from their steering wheels by pressing Sync’s push-to-talk button. If you tell the Automatic Link to share your location with friends, it will trigger an IFTTT recipe that posts a map on Facebook. Or instead of waiting for IFTTT to detect when you’re arriving home so it can turn on the thermostat, you can use voice commands to crank up the heat 20 minutes before you arrive, ensuring things are nice and toasty when you get home. Automatic, Ford and IFTTT only revealed a few examples of their three-way integration, so I’m waiting for the Automatic’s iOS update to come out in the next few months to see everything it can do. But it looks as if Ford is trying to position the car as another control panel for the connected home and the internet of things. Automatic and Ford said they’re working on bringing more apps and services to their Link-Sync collaboration, and my bet is Automatic isn’t the only gadget-maker Ford is working with. 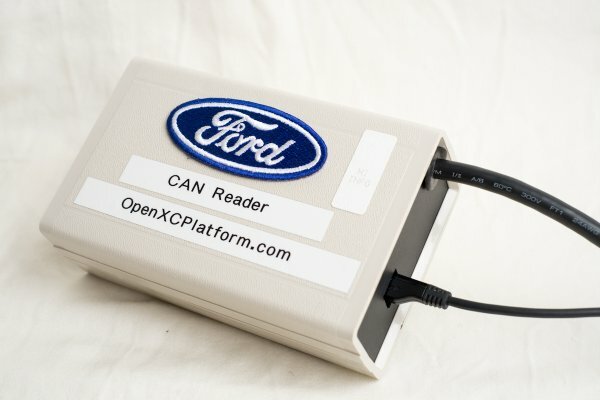 Ford has a long-term development program called OpenXC, which exposes a much bigger set of APIs beyond infotainment interfaces to hardware and software partners. The Siri-Automatic integration started out as an OpenXC project, a Ford spokeswoman told me. At CTIA Wireless last week, Ford announced several new developer partners, many of whom are tapping into vehicle data to run their apps. I wouldn’t be surprised if it starts announcing more hardware partners soon as well. carkarplay- the removable one controlled with smartphone for navigation and other entertainment. Any word on the Lincoln MKZ (2013 or later), either positive or negative?